Will be good for people that use car washes , sometimes they go overboard with spraying the cleaners. Next question how much ? This could be a new side job . You can have even better result if you flip it 180, logo down to table side. Btw, PLA is just fine, those will be normally in glove compartment. Im sure PET will print nicely too. You did a GREAT job! My printer did a great job! I did a great job getting the STL into my slicing appl. and then turning the printer on.......we ALL did great jobs! Just hope that the ES "modules" are identical in every Subaru car........to be determined. I have to share with you a Message I just sent my nephew who lives about 50 miles from me and has a 3D printer. "I was just explaining to Aunt _____ how amazing this all is. 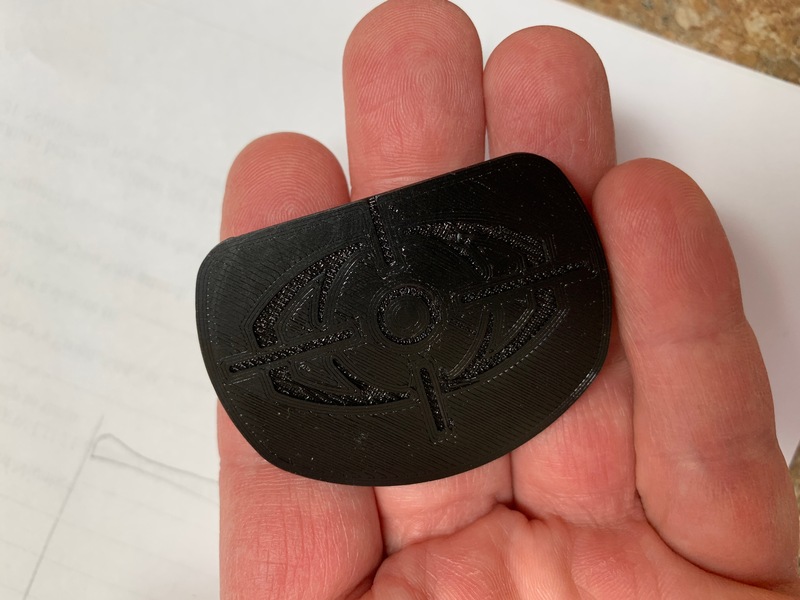 I happen to see on a Subaru Outback forum a posting from a gentleman that lives in the European Union that happened to 3D print covers for his Outback to cover the stereo camera’s for the EyeSight system. He shares it with other forum members, I download the file send it to you via Messenger, you’re able to print it and you send a picture of what you printed and asked me how they look? Then I sent several pictures of what I'm referring to you by Messenger so you can see what I'm talking about, all within a couple of minutes." Amazing times we live in. lfdal, ammcinnis, toysbyus and 1 others like this. I hope you guys get those fit, there are still so many variables in 3d printing, so some fine tuning may be necessary to get perfect fit. Different 3d printers precision variables, slicers do gcode from the same stl model in many different ways. Filaments shrink, (for example abs way more than pla) there are differences even with pla´s. When this fine tweaking is done, then "the factory" can produce trays and trays of those. I used Prusa MK3 printer with Prusament PLA, used variable layers, flat part 0,20mm to 0,10mm for upper hole surroundings. There is already a tab at the bottom, I even had a hole in it for a lanyard at my first "fitting tryout" version, but it is unnecessary, the car will tell you if those are unremoved before flight. I added a tab to the .stl via TinkerCad - Works nicely!